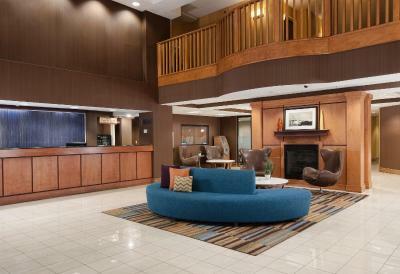 Lock in a great price for Fairfield Inn and Suites Atlanta Airport South/Sullivan Road – rated 8.6 by recent guests! Super convenient to the airport for an early flight. The staff was very helpful and the shuttle to the airport was on time to the minute. we liked the breakfast,the location near to the airport and the staff was really friendly and helpful with our needs. My overall experience was great. 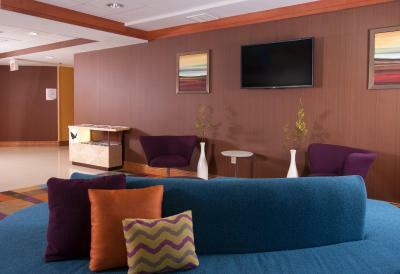 I will return as we recommend Fairfield Inn and Suites to any seeking hotel accommodations. Bed was really comfortable and hotel was quiet. Plus they provided a quick feee ride to the airport. What more can you ask for? The room was clean and spacious. It was very quiet and peaceful at the hotel. It was quiet. The bed was very comfortable. Good air conditioner. Rooms were very clean and nice. Breakfast was average -- no bacon! 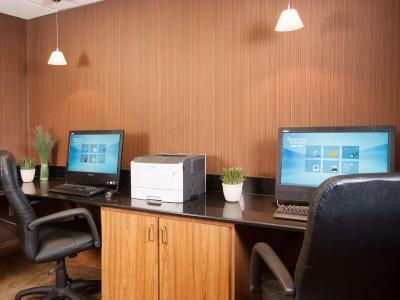 Fairfield Inn and Suites Atlanta Airport South/Sullivan Road This rating is a reflection of how the property compares to the industry standard when it comes to price, facilities and services available. It's based on a self-evaluation by the property. Use this rating to help choose your stay! 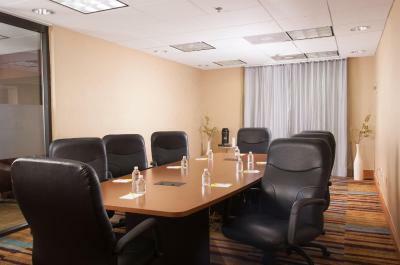 This Atlanta hotel offers a free airport transport service to the Hartsfield-Jackson Atlanta International Airport, which is 2 miles away. 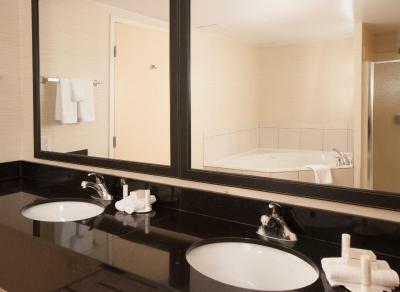 Guests can enjoy a hot tub, sauna, and free Wi-Fi. 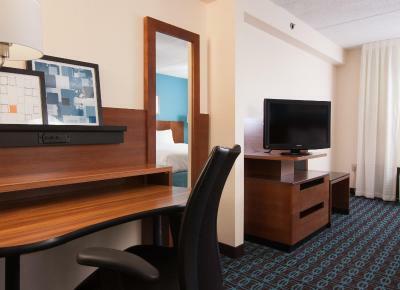 Rooms provide cable TV with HBO and pay-per-view movies. They come with microwaves, refrigerators and safes. They also have sitting areas and desks. 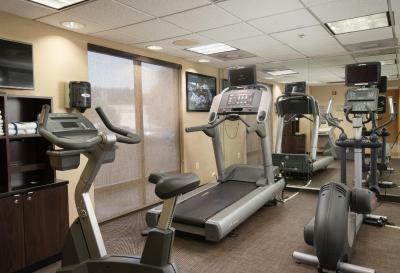 Guests at Fairfield Inn and Suites Atlanta Airport have access to a fitness and business center. 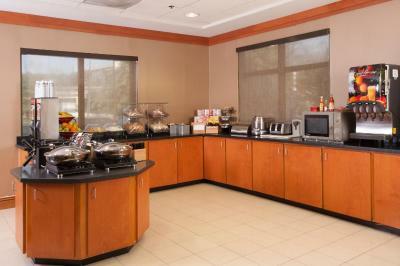 The hotel provides meeting rooms and serves breakfast. 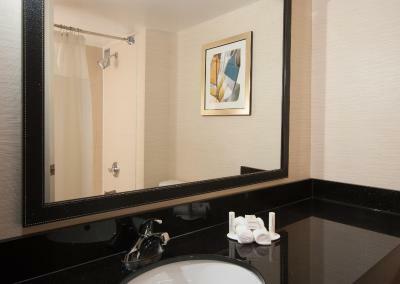 Fairfield Inn and Suites is 1.3 miles from Metropolitan Atlanta Rapid Transit station. 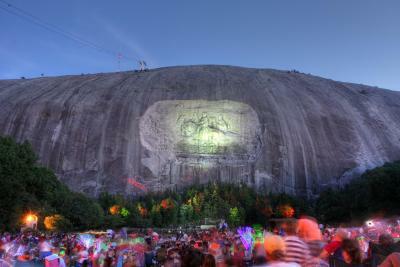 It is 11.8 miles from Georgia State University, 12.1 miles from Georgia Aquarium and 17.7 miles from Six Flags Over Georgia Theme Park. 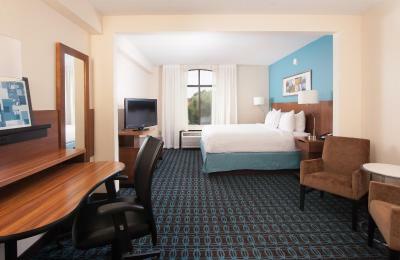 When would you like to stay at Fairfield Inn and Suites Atlanta Airport South/Sullivan Road? 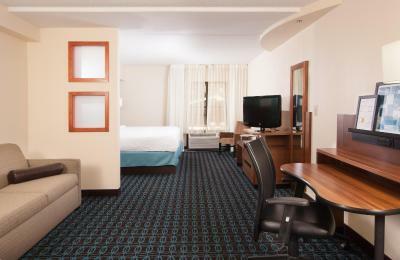 This spacious suite includes a separate bedroom. 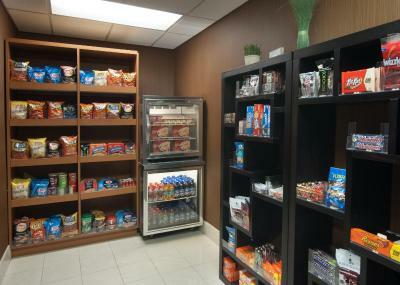 Features cable TV and tea and coffee-making facilities. 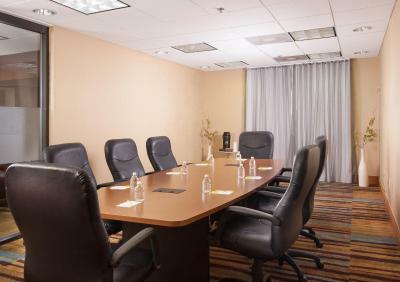 Atlanta Airport hotel offering spacious rooms and suites convenient to Atlanta's Hartsfield International Airport with free airport shuttle service and Atlanta's major corporations such as Porsche, Fed Ex, Amazon and DHL Worldwide. 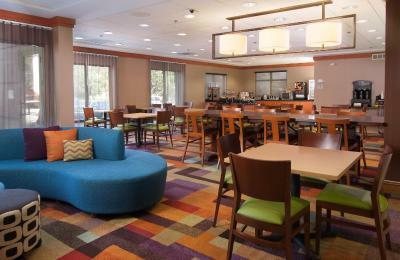 House Rules Fairfield Inn and Suites Atlanta Airport South/Sullivan Road takes special requests – add in the next step! Fairfield Inn and Suites Atlanta Airport South&#47;Sullivan Road accepts these cards and reserves the right to temporarily hold an amount prior to arrival. 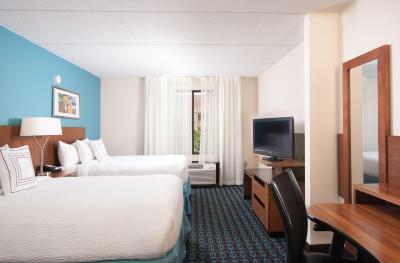 Fairfield Inn and Suites Atlanta Airport South/Sullivan Road accepts these cards and reserves the right to temporarily hold an amount prior to arrival. no problems at all. I stayed at the hotel a month ago with a friend- on business and returned because I was pleased. The air conditioner fan did not stay on. I like it to stay on to drown out noises. i.e. other guest in hotel and airplanes flying in and out of airport. 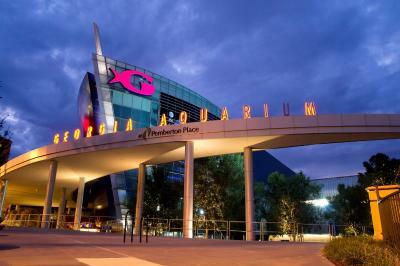 The room was very clean and the staff was friendly.